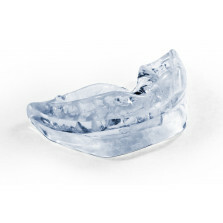 SnorBan anti-snoring mouthpiece eliminates or reduces snoring and improves the quality of sleep. SnorBan has a documented effect and works immediately. It gives a high degree of comfort as it is individually shaped to fit the user's set of teeth. SnorBan is made of hypo-allergenic thermoplastic and in a light and durable design. Special offer: Guaranteed effect or your money back within 30 days! SnorBan is the original and patented anti-snoring mouthpiece, since 1994. Dentist and doctor recommended, the SnorBan mouthpiece gives you night after night of healthy, peaceful and snore-free sleep. Medically proven and effective, easy to fit and comfortable to wear. 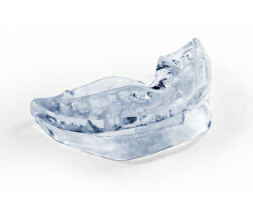 The custom-fit SnorBan mouthpiece holds your lower jaw slightly forward and opens the airway to the throat. This position allows air to move through unobstructed, thereby eliminating vibration and any snoring noise. The effect of SnorBan has been examined in several studies which show that SnorBan improves sleep, reduces snoring and reduces the nightly breathing pauses, both subjectively and objectively. We have such good experiences with SnorBan that we are now offering a 30-day trial period. If you are not satisfied with the result, we will refund your money with a deduction of £5 for administration costs. 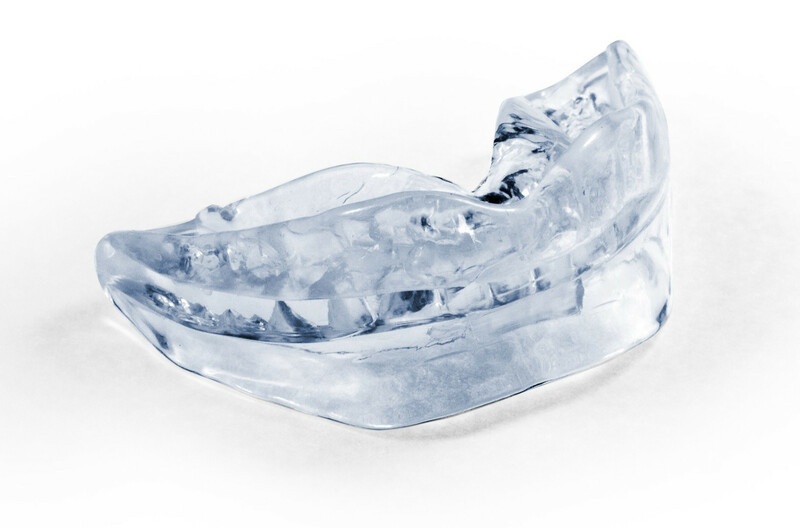 The SnorBan mouthpiece is made of medical thermoplastic, which is softened when heated in warm water. 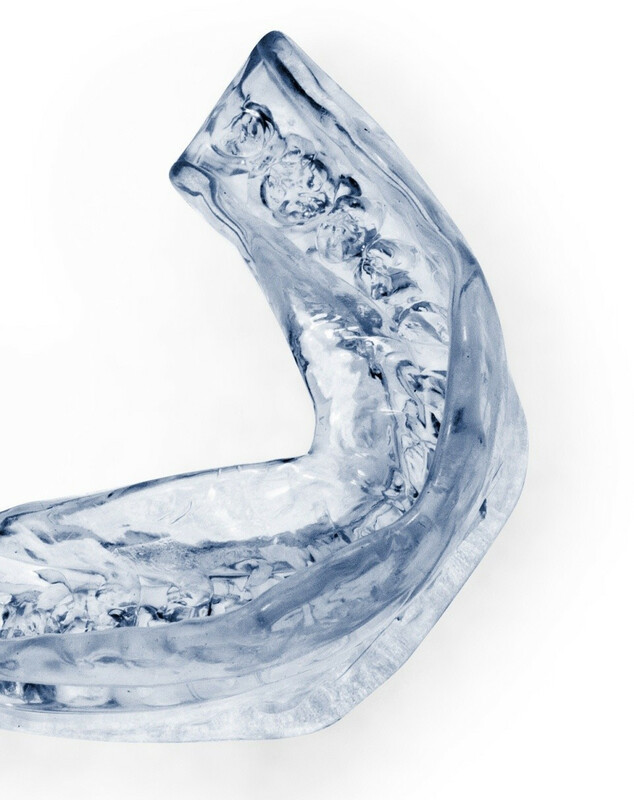 In doing so, the SnorBan mouthpiece is shaped to fit the individual user’s set of teeth. SnorBan is produced in the USA and the material is FDA approved and does not contain latex or BPA. What´s included in your order? SnorBan mouthpiece, daytime storage box and user instructions. NHS Sleep Clinics recommend the use of SnorBan (we are part of the NHS supply team) because it is an inexpensive, effective and simple solution to the snoring problem. The SnorBan mouthpiece is ready in minutes and works immediately. For users whose lives have been negatively impacted by snoring, SnorBan’s stop snoring mouthpiece can make a difference in their overall health, energy levels, and quality of life. 1. Do you suffer from Temporomandibular Joint Dysfunction? 2. Do you have a pronounced overbite or underbite? 3. Do you have loose teeth, unstable tooth crowns or advanced paradentosis? 4. Do you wear full or partial dentures? 5. Do you have trouble breathing through your nose? 6. Do you suffer from severe epilepsy or chronic asthma? If you answered No to all six questions, then SnorBan is for you. If not, then see your doctor. Reduces snoring, dry mouth and morning tiredness. 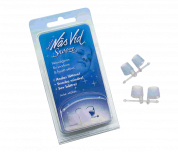 Utilizing two silicone baskets that are inserted into each nostril, Nasaline® Snooze gently expands the nostril openings, allowing for more oxygen to enter through the nose. 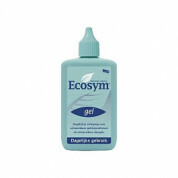 Excellent product but tricky to fit. I am on my THIRD snorban having ruined the second in what is quite a tense and tricky fitting process. I caught the malleable plastic “front wing” on the wrong side of my front tooth and “bit” down thus forcing the wing down into the tooth aperture and damaged the device trying to get it out. Yes I could have activated the 30 day return policy but, to be honest, felt a bit of an idiot- thus forking out another £50 to save my pride. There is also a danger of pushing the lower jaw too far forward. The Snorban then becomes uncomfortable in use. ALL THAT ASIDE- if one gets it right, the Snorban, while not a panacea, “does what it says on the tin” and substantially reduces the incidence most frustrating affliction. It doesn’t last for ever but what price a partner’s undisturbed sleep? "Success from the very first night." "Thank you for sending another SnorBan. Thank goodness that we got to know about this in the first place. Twenty five years of increasingly worsening snoring stopped overnight. My personal thanks to you as I had become desperate for uninterrupted sleep myself, not to mention the concern of listening for what seemed ages for my husband to take his next breath. Now he sleeps like a baby!" A big thank you for making available and supporting this wonderful device. After countless years of awakening more tired than at retiring, a transformed night's sleep is indeed an amazing experiance. Everyone should be experiencing it! "I am very happy with SnorBan and would be very happy to provide a testimonial to anyone who needs it." I was optimistic about this having read many positive reviews but unfortunately it didn't work for me. Maybe it is the shape of my teeth but I cannot get it moulded to actually stay in my mouth when I'm awake so no prospect of sleeping with it in. £45 would be an ok price if it worked but given it didn't it was an expensive trial. I was pleased to find that this device has helped my snoring quite a bit. It was my last resort before surgery and has been succesful in that it has reduced my snoring. However it has not completley stopped it and I still snore quite loudly fairly regularly. I also spit it out on a regular basis and have not figured out quite yet how to stop doing this. It's quite uncomfortable and it rubs my mouth quite badly, I struggled moulding it so that the top and bottom would fit together even though I followed the instructions from the video, I had to remould 3 times. On the whole I was pleased that something this small could have an effect on my snoring and it has meant that I can start sleeping in the same bed as my boyfriend again it has given me a more positive outlook. I reccomend it, to anyone who has tried everything else because it is quite expensive but it does work! At first I was reluctant to spend so much money on any anti-snoring device in case it didn't work. After discussing it with my dentist who told me these devices usually do work and often cost a lot more, I bought one and my boyfriend is so grateful! It was quite easy to mould and completely stopped my snoring. The drawback is that it is quite uncomfortable and takes some getting used to but now I'm used to it, it's ok. I would definitely recommend this product. This device has certainly saved my relationship. It is painful to wear at times and takes alot of getting used to but it is all worth it as I no longer keep my partner awake all night. Occasionally it wont work if I sleep on my back or it falls out but this is not so common. It is such a relief to find something that works. Having read the comments on your website I shouldn't have been surprised to receive my SnorBan the day after I ordered it, but I was; what an excellent service you provide. Reviewed by: D. M. T.
Could I please order another Snorban! They are so good I like to know that I have a spare one. I was so excited to receive this and got to work moulding it straight away, at the third attempt I did it and was very pleased. The problem is, however, that as I sleep my jaw drops and the thing comes off my lower teeth and I end up with it beside me on the mattress. I can't mould it again as I've already done so 3 times now (1st was a disaster, 2nd was better, 3rd was best). So, although my daughter (my partner left me because of my "snoring" - I have since discovered it is OSA) says she thinks it's improved things it is only for part of the night as it comes off as my jaw drops. I had very high hopes and am still confident that if I can just get it to hold my jaw closed then it will have been worth it. Just to say how delighted we are; first with the very quick delivery of a SnorBan - less than 24 hours, and no snoring. Guess you aren't surprised but we are. I lay awake the first night waiting for the snoring - couldn't believe it - nothing! My husband sometimes takes it out when he wakes up a bit early then goes back to sleep and starts snoring, so yes it works! Thanks SnorBan for saving my third marriage. After my new wife spent numerous nights on the floor downstairs I knew I had a real problem. I then had a sleep report where the nurse suggested SnorBan. I was sceptical at first but, oh boy, does it work. we were both so happy again sleeping in the same bed. Thanks for a great product. This seems like alot of money for what is essentailly a double gum shield. The first few nights of wearing it felt a bit odd with some interesting saliva issues and also failed to stay in place. However, having worn this device for 1 week thing's are starting to be a little more comfortable and I am informed that the snoring is significantly better. I am now back sleeping in the same room as my husband who says I am not snoring at all - which is wonderful news. A secondary advantage is that my neck and shoulders feel much more relaxed which, I am sure, is due in part to a deeper, more healthy sleep. Thank you so much. It's not just the lack of snoring but the luxury of feeling in better health generally. And of course my husband is delighted. If there was no SnorBan... I would NOT have slept in a campervan with my 'ever-loving' for five weeks touring New Zealand ... you have given me a LIFE! Thank you, thank you. The device has certainly help in reducing my snoring. Initially I had some problem trying to get a good fit so that I can close my mouth properly. After trying out it out for a couple of days and remolding it as per instructions, it is now much better. I purchased this item to see if it made any difference to my snoring, it did work but I have a very strong bite and am known to grind my teeth during the night which resulted in this product being too flimsy for me personally as I managed to bite through it after a week. Not the miracle cure I thought it might be but apparently does generally reduce the volume of my snoring. This may be something to do with the fitting - seemed to go OK on first go but maybe should have put my jaw out further. Didn't have any problems sleeping with it but did wake up with it in my hand once. My tongue does tend to rest in the little slot at the front of the piece which makes it a bit numb for the rest of the day but nothing too bad. Reviewed by: Mr. I. G.
"Very, very happy with SnorBan." Reviewed by: P. R. C.
"Please supply an additional SnorBan. It is very successful."